Why hadn't I thought of this? its obvious and simple. I tried with the purple twilight family first, but adding the blender solution seemed to change the colours. I tried again with salmon, desert rose and red pepper, and it worked just fine. I really liked this. its like reverse stencilling. 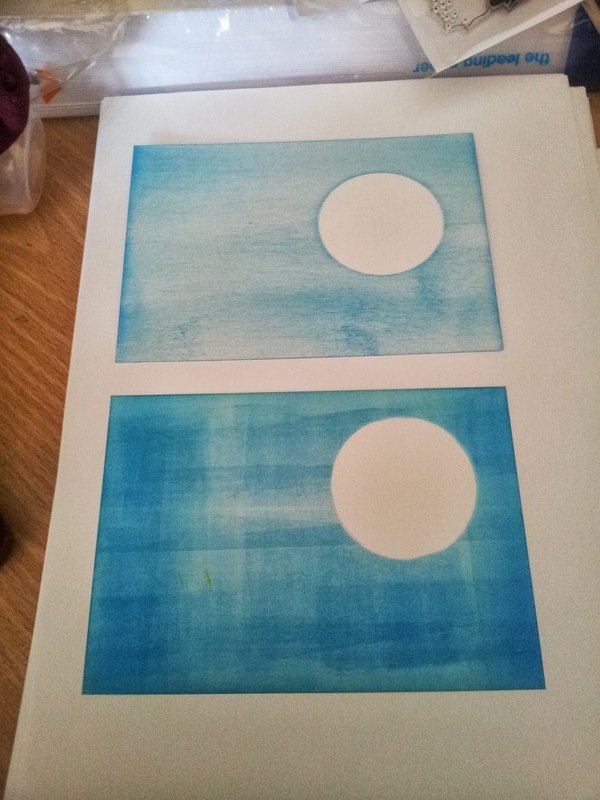 Using the stencils and blending solution to lift colour. Lots of fun. An oldie from the original Compendium, but one i've not tried yet. Still not mastered it, as first attempt ended up very muddy, and the second I ran out of ink. Third time is the charm I guess.